Reviving Melanesia’s Ocean Economy: The Case for Action (RMOE). The new WWF report, Reviving Melanesia’s Ocean Economy: The Case for Action (RMOE), is the result of a collaboration with the Global Change Institute at the University of Queensland and The Boston Consulting Group (BCG) - provides an economic case for investing in the conservation and sustainable management of the eight million square kilometres of ocean in the Melanesian region. The report maps the contribution of the ocean to the region and finds that the overall value of the ocean and coastlines in Melanesia is at least US$548 billion. 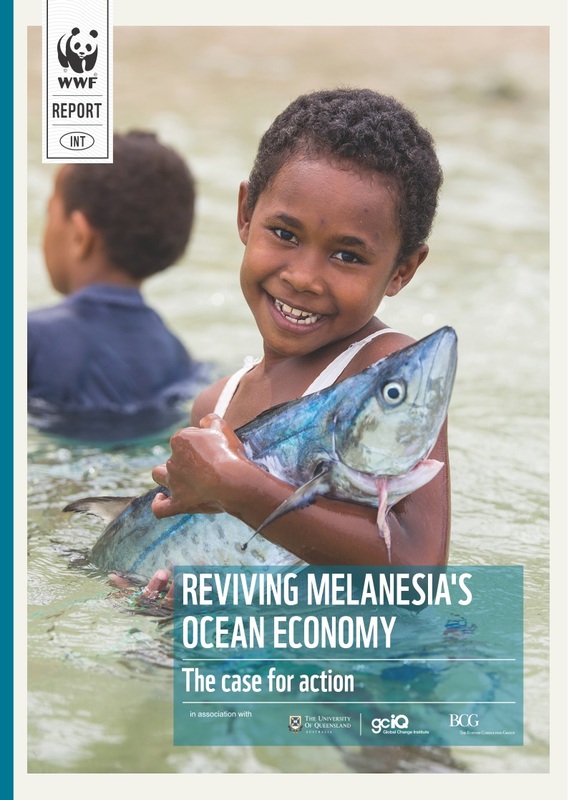 It describes the ocean’s major role in food production, livelihoods and economic activity, and shows that the annual economic output of the ocean in Melanesia is at least US$5.4 billion, making the ‘ocean economy’ larger than most of the region’s national economies.